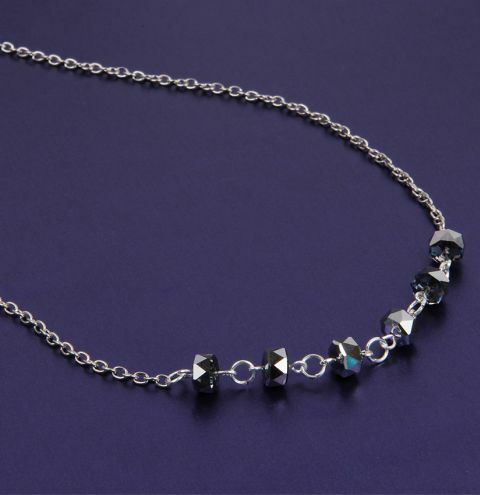 *SALE MAKE* Create this gorgeous, monochrome necklace that sparkles in the the light! Place the rondelle bead onto an eyepin and create a loop at the end. Repeat for each of your 6 beads and connect them together with jump rings to form a chain. Cut two pieces chain, 16 inches long. Attach them to each side of the beaded chain. On one of those ends add a jump ring, on the other attach a jumpring and a lobster clasp.